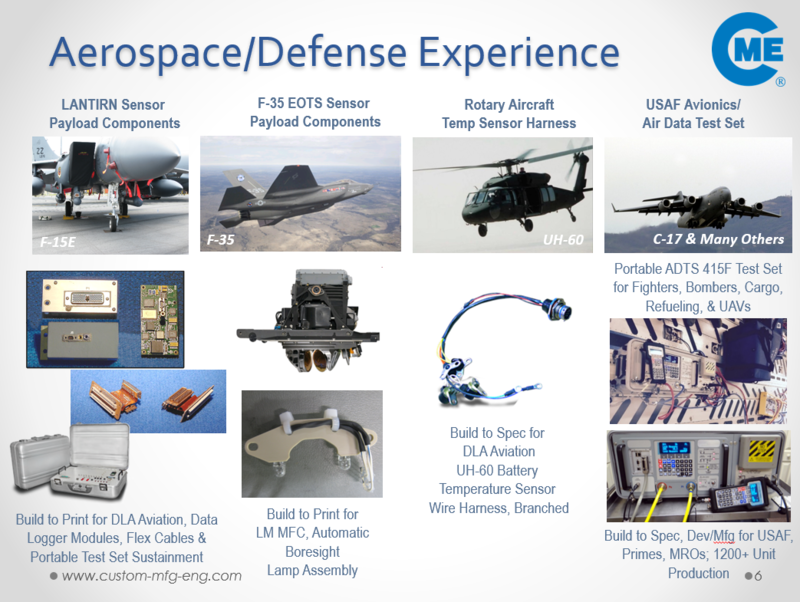 Defense - Custom Manufacturing & Engineering Inc.
CME has been developing and manufacturing products for military and space mission application for over two decades. Communications, military aircraft, and logistical, and tactical intelligence operations. Our products are used on ground vehicles, military aircraft, naval and marine equipment, and by ground and tactical forces.